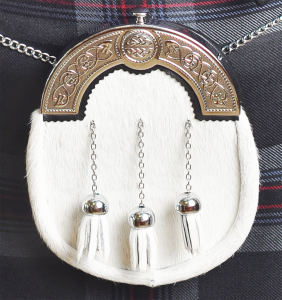 The sporran, a traditional part of male Scottish Highland dress, is a pouch that performs the same function as pockets on the pocketless kilt. 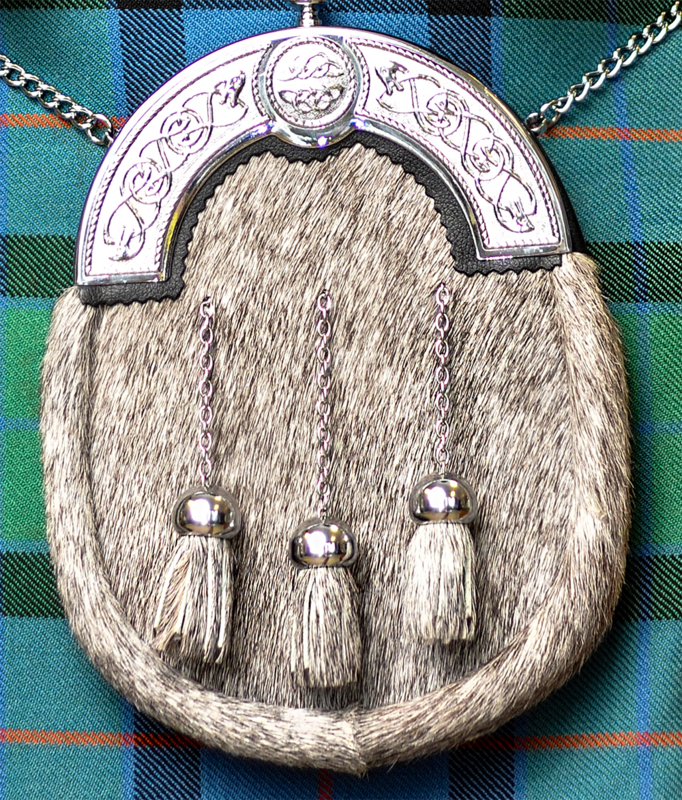 Made of leather or fur, the ornamentation of the sporran is chosen to complement the formality of dress worn with it. 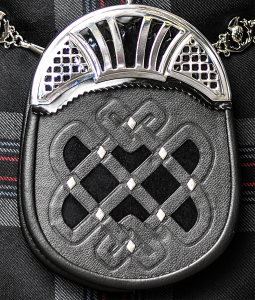 The sporran is worn on a plain chain or decorative thistle chain strap, conventionally positioned in the middle of the front apron of the kilt. 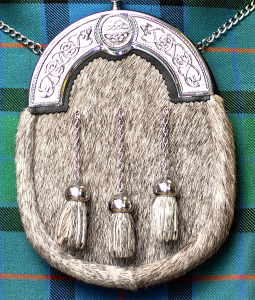 At Lothian Kilt Rentals, we have 3 different styles of sporrans that we offer with our rentals – off-white fur, black leather, or grey fur all with chrome cantles. 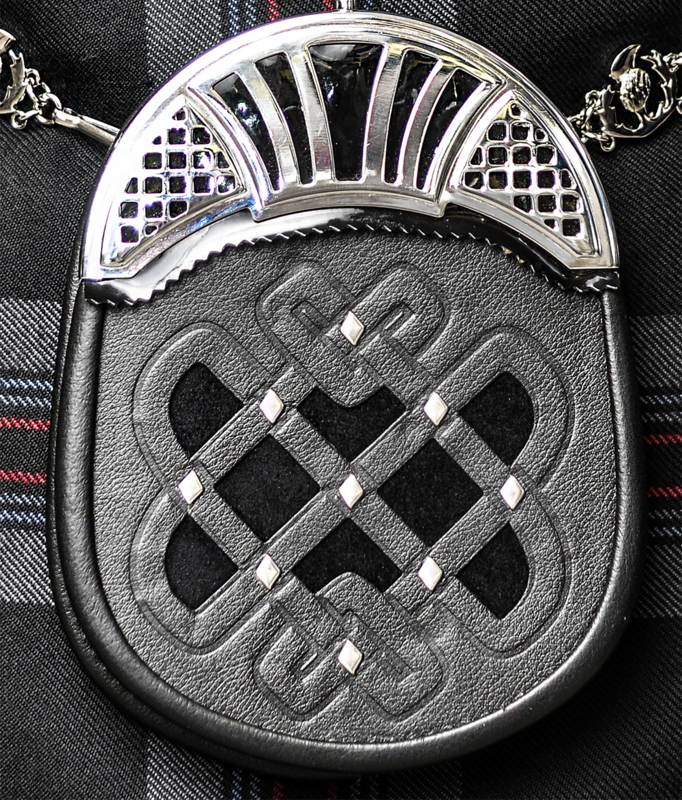 Click image to enlarge – This chain is offered as a $10 upgrade to the plain chain you see pictured in the off-white and grey sporrans above.